in the Knutschfleck, Germanys first and only cocktail-stock exchange. 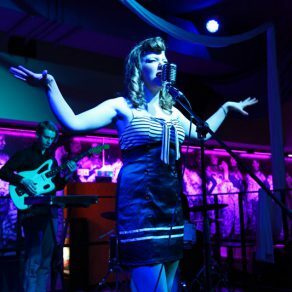 Every Tuesday and Thursday our Knutschfleck-stage is open for your voice. 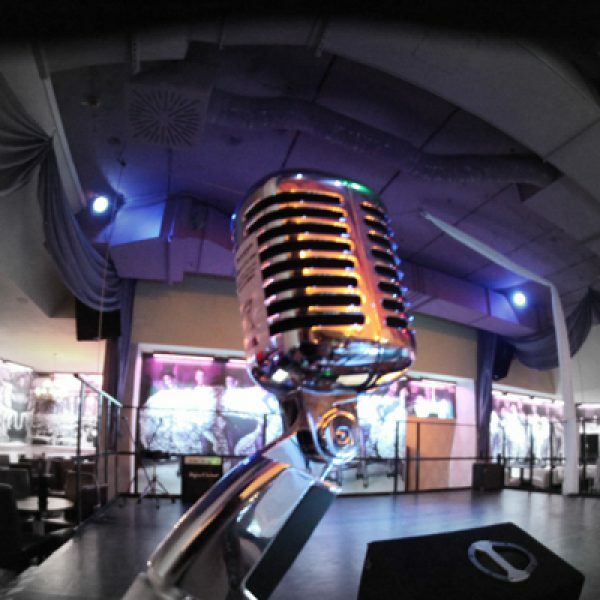 Together our Dj´s Jan and Martin Martini we celebrate the hottest afterwork karaoke party in town – direct at “the heart of Berlin” Alexanderplatz. 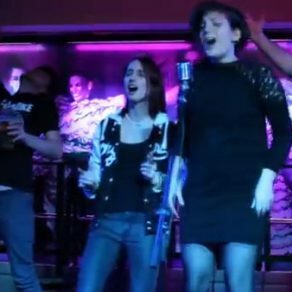 What could be better than enjoy some delicious cocktails with friends, family or work colleagues by listen to the fantastically crooked tones of our waitresses barkeepers and guests…. or even to grab the microphone byself. In our wide repertoire contains hits from rock, pop, Latin, Salsa, R & B, Hip Hop, House and Black Music, and the best of the last 5 decades ! There’s guaranteed something for every character and every kind of voice. 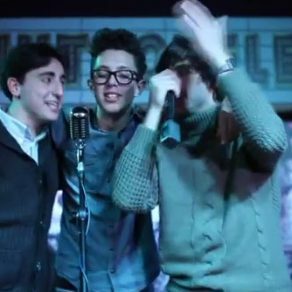 It does not matter whether you’re a singer or novice, young or old : just grap the micro and sing like there’s no tomorrow ! The applause is you sure, because we have in the Knutschfleck Berlin the best karaoke audience in the world. But be careful, it is filmed ! Because the operators of the Knutschfleck are music producers aswell and may you can find yourself quickly in a professional music studio. 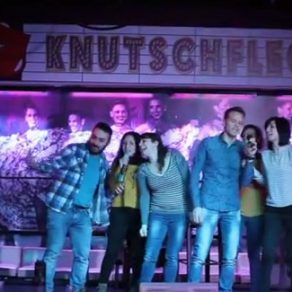 Those who have already been in our unique variety show at the weekend and is like us thrilled by our various artists, is now able to take the microphone and show his talent at our Knutschfleck karaoke stage ! The Knutschfleck Berlin, the new attraction located in the heart of Berlin the Alexanderplatz, opened in 2014 as the first cocktail stock exchange in Germany. 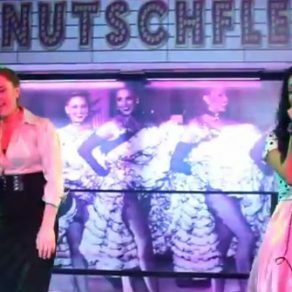 In a charming atmosphere, with a colorful show program, Karaoke, German cuisine and berlin beers surprised and spoiled the Knutschfleck Berlins guests. In addition to classic cocktails like Mojito or Cosmopolitan over 100 own cocktails with unusual names on the menu to choose from, with which goes to the stock market ! The prices falling and rising up to how many guests order one kind of cocktail. Here the guests determine from Monday to Thursday the price. You can observe the rising and falling prices on one of the screens on the stage, or simply download our cocktail Exchanges app at iTunes or Google Play so you can anytime track prices global.